The location was great, very close to the ski lifts. There's a grocery shop just across the street and some nice restaurants nearby. Location Location Location. Close to all the amenities/shops/supermarket/STGM office/ski school meeting points/lifts/pharmacy/ATM/etc. An endless supply of hot water. Clean white sheets and towels. Quiet..no noise from neighboring apartments...only front the streets after closing time! The boot room lockers on the entrance level are another practical idea. Recycling/rubbish bins are adjacent to the front door. Any problems with the apartment are immediately dealt with . 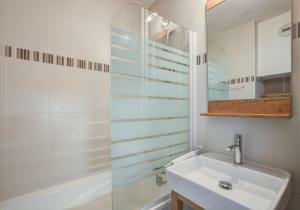 Clean and easy to clean at the end of your stay. Nice rooms for a group of friends couple of minutes walk away from the lifts. We had a fantastic Christmas week at the Grande Motte. The room was excellent, well equipped, very comfortable and warm. The location to the lifts was really good, only a short walk. The restaurants and shops in the village were really good. We pre-booked parking in a covered car park which was a short walk from the apartment, but you are able to park outside for a short time to unload. We had to pay for the parking, which we didn't know before we arrived, but at least I knew the car was safe and under cover. I would defiantly go back to the Grande Motte! Hotel staff are fantastic! You don't need to carry any kitchen equipment with you, they already have everything you may need in the room. If you are not carrying your skis, perfect location. Spotlessly clean!! The apartment has all you need for a ski trip to Tignes. 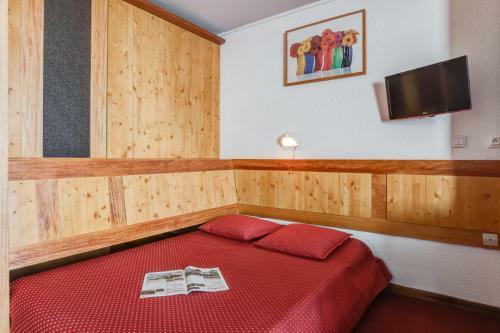 The decor might be getting old but it is still functional, operational and exactly what is needed of an apartment that is getting used for skiing. The added hooks along the wall give you somewhere to hang all your ski gear at night. The heating and hot water were always on. I hear some people complain about tidying and cleaning the apartment after but this never stops us as we like the price. This is our second time using the place and I’d still go back. Ski room lockers are a bit passed it but still functional. 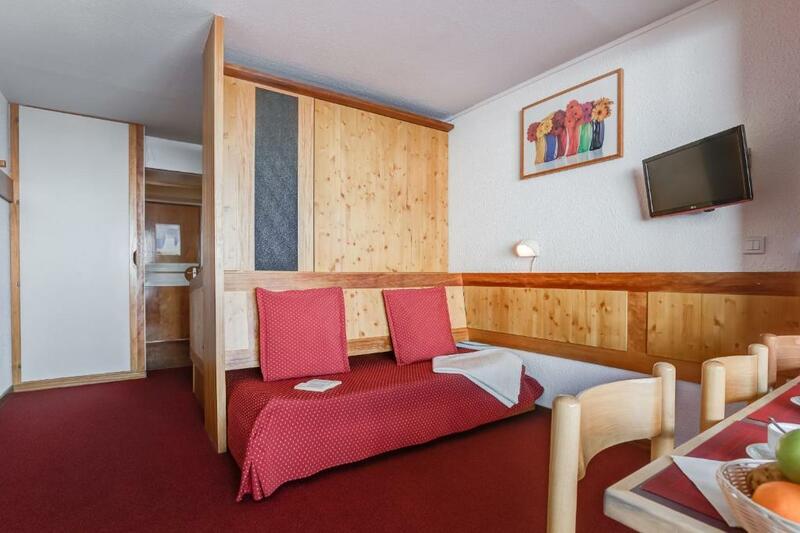 Lock in a great price for Résidence Pierre & Vacances Grande Motte – rated 8.3 by recent guests! 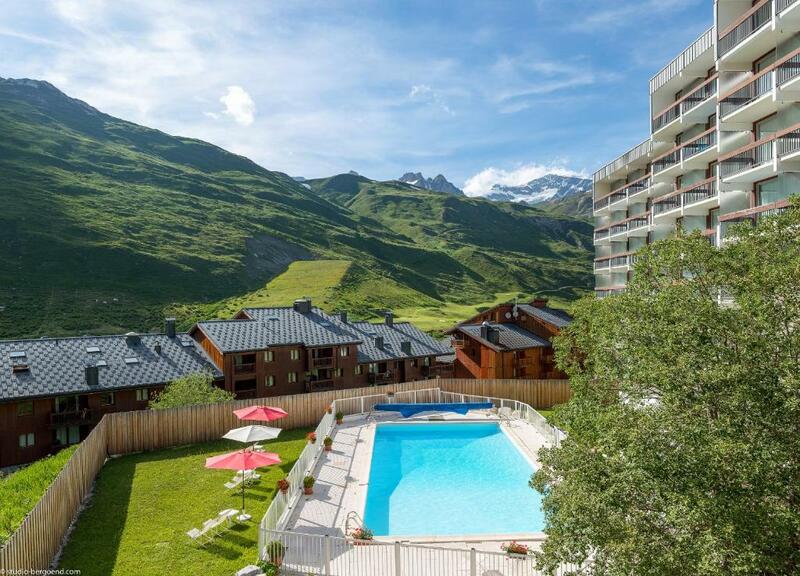 One of our top picks in Tignes.Located in the center of Tignes Val Claret ski resort, next to the underground funicular, which allows a quick access to the ski tracks, the apartments at Résidence Pierre & Vacances Grande Motte have a furnished balcony with views of the mountains. 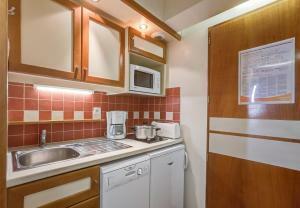 Each apartment has modern décor and a fully equipped kitchen with an oven. It also has a dining area, a TV, and a private bathroom. There is a shopping delivery service available at an additional cost, and there is a public, outdoor swimming pool near the resort. Guests can rent ski equipments at the hotel. Activities in the nearby area include paragliding, sledging and snow-shoeing. Borg St Maurice TGV Train station is 19 mi away. This property is also rated for the best value in Tignes! Guests are getting more for their money when compared to other properties in this city. When would you like to stay at Résidence Pierre & Vacances Grande Motte? 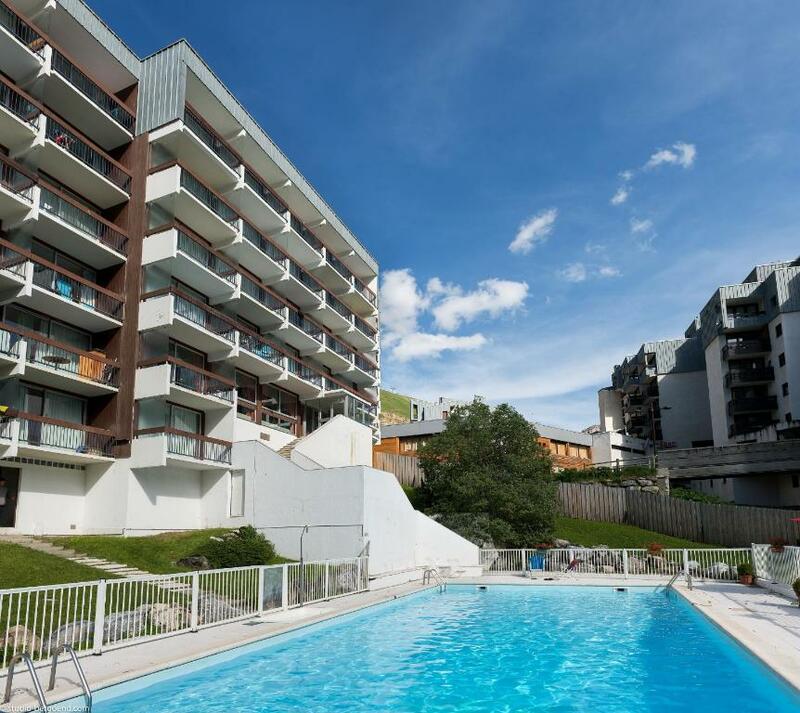 This apartment has a fully equipped kitchen and a balcony with views of the mountains. This studio features a balcony, dining area and dishwasher. This studio has a balcony, microwave and dishwasher. House Rules Résidence Pierre & Vacances Grande Motte takes special requests – add in the next step! A EUR200 damage deposit is required 0 days before arrival (about USD225.10). This deposit will be fully refunded 0 days after check-out, as long as there isn't any damage to the property. Résidence Pierre &amp; Vacances Grande Motte accepts these cards and reserves the right to temporarily hold an amount prior to arrival. Résidence Pierre & Vacances Grande Motte accepts these cards and reserves the right to temporarily hold an amount prior to arrival. Available at an extra cost: beds made upon arrival, housekeeping mid-week, cleaning kit. The number of services purchased must match the number of occupants in the accommodations. For stays of 1 week, keys are available at 17:00 and must be returned at 10:00. A baby kit, suitable for children under 2 years weighing less than 15 kg can be requested at an extra charge. The kit includes: 1 cot and 1 high chair and is subject to availability. Please note that ironing facilities are available and subject to availability. Board games are available on site. For any invoice requests, please note that the name used will be the name stated on the reservation. Please inform Résidence Pierre & Vacances Grande Motte of your expected arrival time in advance. You can use the Special Requests box when booking, or contact the property directly using the contact details in your confirmation. A damage deposit of EUR 200 is required. That's about 225.10USD. You should be reimbursed on check-out. The sofa bed was a bit uncomfortable. Only seems to be one snowboard shop in town. 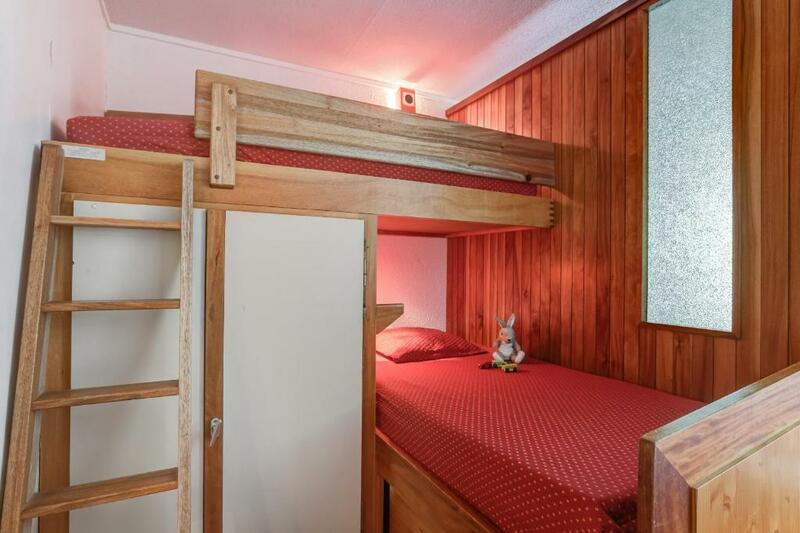 The property was quite outdated in decor, double bed not quite double and not comfortable for two people, top bunk too high to the ceiling, anyone younger than 7 can't sit up without banging their head. The final cleaning charge of £50 is a rip off, we've stayed at higher class bigger Pierre Vacances and its never been that high. No place in the kitchen to keep any cutlery or plates, so you constantly run back and forth to cook, eat and wash dishes. The worst was wifi, a shameless ripoff of 1990s! You have to pay £10 per device, so for a family of 4 with 6 devices it was extra £60 for a week - and it never worked! I had to go and work off the internet cafe nearby. A total disgrace in the 21st century. The towels are quite small, you had to do make your own beds, which is almost impossible for the top bunk. The worst experience for the chain we ever had, not coming back. The room furtinute was a little bit old and also the noise cancelling definitely needs to be improved. No wifi, unless you pay a price of €3 per minute! This is steep even for the alps. You have to individually count every single item in the apartment, including knives, forks and salad bowls!!! And return a list within 24hrs of check in to prove you won’t steal anything. As an example its a €2 charge if you lose a fork, this level of pettiness has no place in the hospitality industry. Id rather they do away with all of the minor stuff and scrap the silly charges. Charged a 100 euro cash deposit on arrival because their card machine was broken! As our transfer was early morning, we had the apartment checked the night before, in order to get our deposit back they took a credit card for the last night. The reception is only open twice a day, a tactic they probably use to avoid complaints. I received a phone call the following morning whilst in the airport to say they were charging us €50 because we left 1 bag of rubbish in the apartment. Feels like they do this quite regularly as it was not a sympathetic phone call. They do provide you with a hoover, if you fancy cleaning whilst enjoying your holiday. I really don’t know why they employ cleaners as they expect you to do EVERYTHING. Our apartment wasn’t even clean on arrival, they said we could put our bags in whilst they did a final check, when we came back to the apartment an hour later the door had been left wide open with no regard for our belongings. Best not to even mention the monstrosity they call a bed; or the mouldy shower; or the miniature bath; or the lack of radiator space. Cooking equipment could have been a bit better, good enough for simple cooking though. On Check in, we had to leave our deposit in CASH, due to a broken card machine, not happy but we had little choice. Everything was then okay until we had to check out, as it was an early flight and transfer, we asked 24 hours before, the staff were helpful and suggested we could get our *CASH* deposit back in the evening and they would take the deposit on the credit card so we could clean at night and they would refund the deposit in the morning if all good, fine with us. In the evening we asked for our deposit but it was a female Director of the company now present whom insisted we had to clean before we would get the money and gave us 20 minutes to clean as they were closing, if it wasn't clean, no deposit. After an argument and another guest supporting me to the contrary advice from staff, we had to speed clean and miss our dinner reservation. We then asked to check out and our credit card details were then demanded, they were happy with the cleanliness but took a note of our credit card details, not a swipe, this is not legal and contravenes GDPR law, holding someone's details in this way, we informed them of this fact and a shrug of the shoulders ensued. So far, nothing has been taken from the card but who knows when / if that might happen. The boot room - the ski locker was okay, but our boot locker was the bottom one, meaning 2 other families could put their boots above ours, and given that the only divider was mesh, it would mean our boots would be wet in the morning as the snow from the other boots would have melted and dripped in. Given this, we stored our boots in our room on a mat by the radiator. The property is not far away from any important location however, you have to carry your ski equipment for around 100 metres. The master bed and the sofa are same furniture so that you have to re-make your bed every night. The air fresher is insufficient in the bathroom. 1. Nearby party-people hostels, it’s very noisy during night time 2. Bed and pillows are really uncomfortable 3. You have to count the total tablewares and report to reception within 24hours after you check in ( and there is like over 40 items...) 4. Reception didn’t explain the rules and penalty. 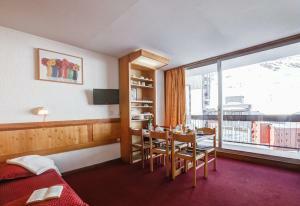 We did’t know that guests have to clean the room, dump the rubbish and remove bed sheet for checked out, and we spent more time for checking out than we expect. 5. The location listed on Booking.com is NOT correct, and don’t trust Booking.com’s customer service because they will reply you the wrong one, better just directly search on Google Map!! 6. No toilet paper, no dishwasher. You have to buy/prepare everything by yourself. Had to pay extra for wifi. No extraction fan for bathroom or kitchen. Bakery across the road was amazing.